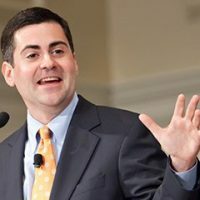 (Jeff Maples – Reformation Charlotte) Russell Moore is no stranger to leftist political games. Russell Moore is a pro-life Democrat who holds to nearly every liberal political position there is — to some varying degree or another — with the exception of abortion. Let me say, I’m glad he hates abortion, as any professing Christian should. But Russell Moore likes to play the moderate mediator good guy game, making his position appear more tenable to the masses.